Librarians work has gone mobile. We use smartphones and tablets in our personal lives, why not take advantage of them at work? Last fall 2013, the Informatics and Cyberinfrastructure Services department at ASU Libraries, asked librarians (the authors) Mimmo Bonanni and Dennis Brunning to investigate librarian technology needs in today’s mobile workflow. The proposal was to purchase and test mobile technology for a select test group of librarians at ASU Libraries. We decided to concentrate on lightweight, inexpensive powerful mobile computing platforms for librarians; two types stood out: tablets and Chromebooks. The question was, can tablets, or Chromebooks either replace or act as positive additional tool for the day-to-day work of librarians? We randomly selected ten librarians to receive Google Samsung Chromebooks and Microsoft Surfaces with keyboards. Five Chromebooks and five Surfaces were given out by lottery. The librarians agreed to use either the Surface or the Chromebook as their primary computer in the late fall (Nov/Dec 2013) and early spring semesters (Jan/Feb 2014). The group also agreed to provide feedback on their experience via online spreadsheets, and monthly discussion meetings. Librarians also would use ASU digital web-based voicemail during this period. We met with testers regularly throughout the year, together and grouped by computer. We helped with setup and mutually discussed best practice guides and tips. The technology was distributed to the librarian lottery winners in late October 2013 for initial setup, and the project began in November 2013. For the test, we made the decision early on to implement user profiles and email settings outside of ASU system in order test both the Surface and the Chromebook without having to wait to implement ASU enterprise for both—a significant barrier we discovered. We developed criteria for Librarians to evaluate the technology. Evaluation criteria included: communication (email, Skype, google hangouts), document writing (documents, presentations, spreadsheets), and work specific project needs like original cataloging, web work, etc. Since we were evaluating two different types of technology, and types of collaboration, we created two ways to collect librarian feedback and input: an online Excel spreadsheet in MS cloud drive called SkyDrive (i.e. Surface users), and also a Google Spreadsheet in Google Drive (i.e. 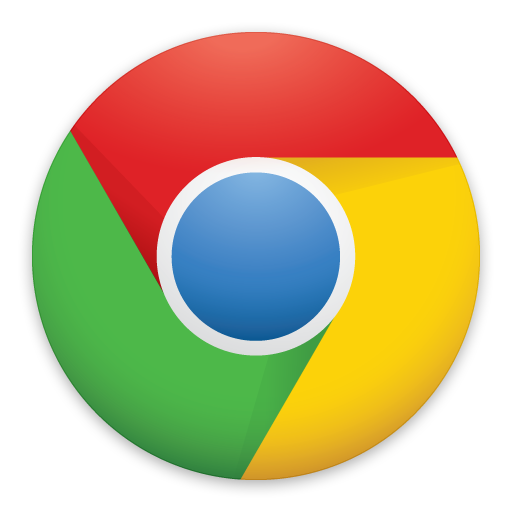 Chromebook users). We asked the 10 librarians as they used either the Surface or the Chromebook to record what app or program they were using and record on a Likert satisfactory scale of 1-5 whether the app had a high satisfaction (5) or low satisfaction (1). In the spreadsheet, we asked the librarians to also record the date of use, and also any comments they would have about the app or program based on the above criteria. Library staff recorded the input over a 4 month period, November 2013 – February 2014. The authors also gathered input from the librarians during monthly meetings. During the monthly meetings, we had had open discussions based on the input gathered in the MS Excel or Google Spreadsheets. Librarians would discuss pros and cons of using either the tablet or the Chromebook during these discussions. The discussions covered the criteria of how effective the mobile technologies were in the day-to-day workflow for communication, document writing, and work specific projects. Mobile, can work remotely; taking notes, answering reference questions. No longer tied to your office. Mobility helps librarians stay engaged even when out-of-office. Lighter and smaller form factor than previous laptops. Inexpensive compared to a laptop. Built-in cloud functionality; retrieve documents without having to save to hard drive. I.e. Surface had MS SkyDrive, Chromebook has Google Drive. Long battery life on a single charge. Can use a full workday without charging. Can Install 3rd party apps like Dropbox, Facebook, Twitter. Chromebook works well with Google drive Apps (i.e. document, presentation, and spreadsheet). Chromebook touchpad is more precise for day-to-day work instead of touchscreen. Chromebook keyboard is closer to a desktop keyboard, and easier to use compared to the attached Surface keyboard. Chromebooks are a better value. They are significantly inexpensive compared to MS Surface tablets; half the cost. Surface works comes with MS Office and Skype built-in. Surface monitor is brighter and better resolution so reading PDFs and documents is easier than a Chromebook. Surface form factor is more portal (without keyboard) to take to meetings and conferences. Surface offers unique multi-task touch features and multitasking software, allowing you to see more windows on the screen at once. Surface has better offline capabilities, when offline you can save documents to the drive of the tablet and upload to Skydrive later. No remote desktop functionality; including VPN or Remote Desktop. Not all library related-apps are available, like libraries ILS (Integrated Library System), or library suggested products like Mendeley. Both products do not have a completed integrated enterprise system using apps; cannot get access to network files or network printers. Would need to develop a new mobile ASU Libraries image. Built-in cloud functionality would need system integration work with ASU Libraries. Confidentiality. Because mobile, if lost, staff information could be stolen. 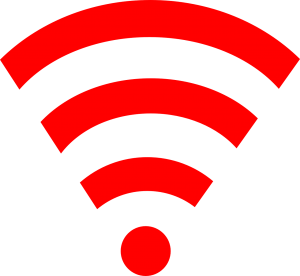 Both tablets and Chromebooks rely on an Internet connection, offline work for both is limited. Apps used by library staff for committee and group work like Skype and MS Office are not available for Chromebook. 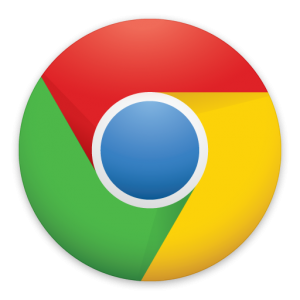 Chromebook runs Chrome OS and Chrome OS has much less Apps available than the MS store. Can’t install traditional software like MS Office or Adobe Photoshop or Skype. Chrome OS equivalents like Google Docs or Pixlr Editor are not as fully functional. Chromebook screen is not as vibrant which makes it less effective for reading documents. If ASU Libraries had an ample budget to purchase mobile technology, which of the two devices would you recommend? 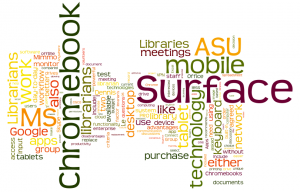 If ASU Libraries only had the budget to for one mobile technology (either Surface or Chromebook), what would need to be changed to either the Surface or Chromebook in order to make it more functional for ASU librarian workflow? What are the major positives/negatives for either the MS Surface to the Google Chromebook? If our goal for future mobile technology is to replace our current library computing desktops, what would we suggest for purchase? If our goal for future mobile technology is to have a secondary mobile device to augment our current library computing desktops, what would we suggest for purchase? How can these mobile devices (either MS Surface or Samsung Chromebook) transform a librarian’s workflow and work life? Recommend purchase of a tablet. The MS Surface Pro over the MS Surface. More powerful, can run more apps, can use remote desktop. Include docking station with larger monitor and keyboard, so staff can have the mobility of the tablet, but also the functionality and productivity of a desktop with the larger monitor and keyboard. Include external drives for more storage, and portability. Mirror image the tablet to include ASU apps (i.e. VPN and remote desktop) and network drives and network printing. Need to factor possible Surface theft or loss. Recommend purchase of a tablet. MS Surface 2. Runs MS Office natively so fits well with librarian workflow; Word, Excel; PowerPoint. Have option of allowing library staff pick their tablet device, options can include Apple iPad or Android tablets. Suggest implementing a voucher system where Librarians can buy their device. Voucher should at least cover the minimum. Ultimately after using both the Surface and the Chromebook for 4 months, the group of 10 Librarians unanimously agreed that mobile technology is necessary for librarians to remain productive in their day-to-day work. In regards to a head to head competition between the Chromebook and the MS Surface, the group agreed that tablets are the clear winner. Although Chromebooks are less expensive, with a better keyboard and precise touchpad, the lack built-in productivity apps, less portability, and lower quality monitor make the MS Surface tablet a more functionally useful choice for librarians. Benefits of mobile technology are obvious from the pilot, that being said there are challenges to implementing in enterprise, and the library. Because of mobility, it is more challenging to securing the technology, both in and outside the university network. What if the tablet or Chromebook gets stolen or lost? New policies would have to put in place to manage these new devices and ensure librarians will have secure access to the university network and files, like requiring passwords on start-up, or enabling encryption. Library and university IT would also have to balance users’ needs to access corporate app stores (both MS Store and Chrome web store), and provide safe and secure access to the universities sponsored apps, and network. Mobile technology could benefit staff in an enterprise system, and lead to increased staff productivity and work satisfaction in today’s mobile working world. 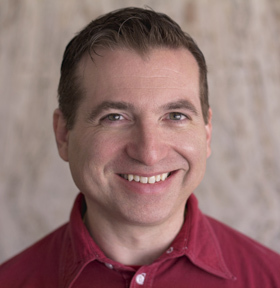 Mimmo Bonanni is the Social Sciences Librarian for ASU Libraries. He provides research help, instruction and collection development for anthropology, archaeology, global health, justice & social inquiry, museum studies, and women & gender studies at ASU. He often can be found lurking at his local café pondering tech and libraries, doing a crossword, reading tumblr, listening to jazz, and contemplating growing a beard (not necessarily in that order…). 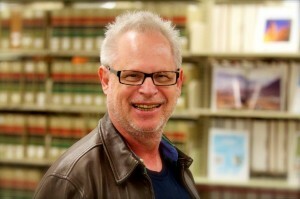 Dennis Brunning is Director, the Design Library at Arizona State University Libraries. The design school services the Design School of the Herberger Institute for Art, Dance, Film, Theatre, and Music. Dennis is subject librarian for all areas except music. He also writes for Against the Grain and the Charleston Advisor. Dennis opened the first boxes of personal computers at ASU and has been playing with technology ever since.